(Natural News) Some people may think that hypnosis is a tool that can be used to control other people. It is often presented as a party trick wherein an unwilling participant is made to perform embarrassing or otherwise impossible feats for the amusement of other people. But the truth is, no one can force you to do things against your will with hypnosis. Yes, hypnosis is a helpful tool but it is one that can be used to control yourself. Hypnosis is a medically recognized technique that utilizes your innate mental powers to promote the improvement of your mental health. All forms of hypnosis are actually “self-hypnosis,” technically speaking. You can certainly have someone else guide you through the process, but they are only there to facilitate. It is only by your will that you can achieve a state of true hypnosis as all hypnosis is self-induced. 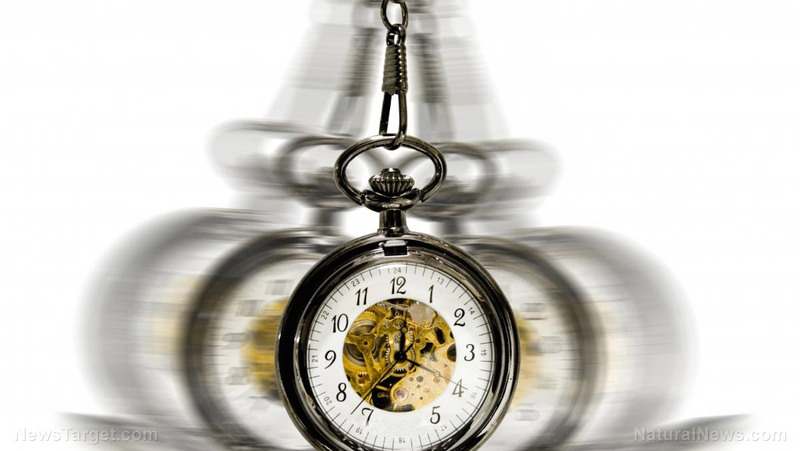 Chances are that you may have already experienced self-hypnosis without even realizing it. If you have ever relaxed your mind so much that it is emptied of all thoughts and reached a blank state, unaware of the rest of the world, then you have undergone at least some form of hypnosis. This normally occurs when you find yourself mesmerized by a crackling fire, the waves of the ocean or the ripples of a pond. Self-hypnosis induces a state of such extreme relaxation that it allows the mind to become highly suggestible. A common misconception is that this heightened state of suggestibility means that you can be forced to do things that you don’t want to. The truth is that you allow yourself to do things you normally wouldn’t want to because you are barely aware of your surroundings. You are always in control during these trances and can easily snap back to reality at any time you wish. The experience is comparable to being thoroughly engrossed in a good film or book. It can completely take you into their fictional world but you know that you can always step out of it should the situation call for it. When properly done, hypnotherapy can be used to reduce stress and anxiety and improve one’s emotional well-being. It does this by putting you into such a deeply relaxed state that it triggers your relaxation response, which occurs when your body does not perceive any danger. This calms you down and minimizes the symptoms of stress and anxiety. Hypnosis can help alleviate the symptoms of panic attacks, generalized anxiety disorder, and situational anxiety, such as a fear of public speaking and taking exams. Sit comfortably in a quiet place. The fewer distractions there are around you, the more you will be able to focus. Make sure that you are relaxed and comfortable. Take a few moments to breathe deeply, rhythmically, and slowly. Breathing exercises are very effective in calming both the mind and the body. You may inhale, pause for a moment, then exhale deeply. If it helps, you may count to four between each breath. Close your eyes and imagine yourself in a place of peace. Hypnosis is characterized by a trance-like state of heightened suggestibility and imagination. Use this to picture yourself in a place that brings you soothing comfort and peace. Ideal locations are beaches and mountains but it doesn’t have to be an actual location. It just has to be somewhere where you can be at total peace. Engage your senses. Extend your senses to ground yourself in your new location. If you imagine yourself to be on a beach, reach out and feel the warm rays of the sun and smell that salty ocean breeze. Repeat a comforting affirmation. Tell yourself an affirmation that you need at that moment. Use it to help you face whatever is directly causing you stress or anxiety. You can say something as simple as “I am safe” or “I can do this”. Repeat this until you believe that it is true. If you want to learn more about hypnosis and other forms of alternative medicine, you can read more articles by visiting AlternativeMedicine.news.